Play Monsterjong and more Puzzle Games on Games1.com! Halloween is just around the corner and you have not even picked your costume yet? 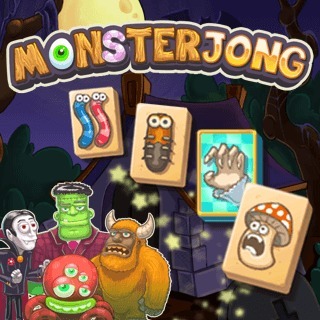 Get in the right mood for the spooky holiday with the Casual Game Monsterjong! This scary version of the classic Board Game Mahjong comes with images of monsters, worms, snakes and other creatures of which you need to find the pairs to eliminate the tiles. With a quick reaction you will gain Power-Ups that will help you remove the tricky tiles as well!